This universal life force has many names, it is most commonly known as Chi. This originates from China. Prana is another name for it, originating from India. Reiki is the healing act of laying hands on a human or an animal to comfort and relieve pain. It is as old as instinct. When you think the first thing we do when we hurt ourselves, is to put our hands on the painful area. Or a mothers instinct when her child has a fever is to put her hand on the child’s forehead. This is exchanging energy to heal. We have energy channels within the body called the meridian lines. These distribute the energy around the body just as we need veins and arteries to carry blood around our physical body. You can look at it as the meridians carrying energy around the spiritual body. This energy needs to flow freely and sometime blockages occur as they would do in the circulatory system. In the energy system these blockages cause an imbalance in the flow of energy as a result, sickness can occur in the physical body. 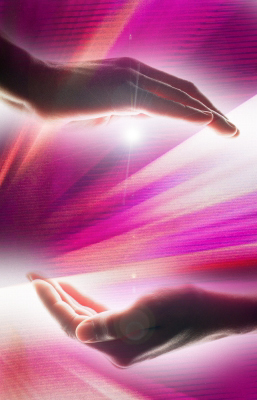 Reiki is an empowering experience, to be able to perform self-healing and healing for others is an honor. Reiki is not associated with any religion. There are many benefits of Reiki. Some of them are answered in the following. When you want to be a Reiki practitioner you have a series of attunements. These clear and open the energy channels enabling an increase in life force energy for healing. You will also become connected to the source of all universal energy or chi. A healers role is simply to channel this energy. The energy will be used by the receiver. The subtle energy will be drawn to where ever the imbalance lays within the receiver of the reiki treatment.